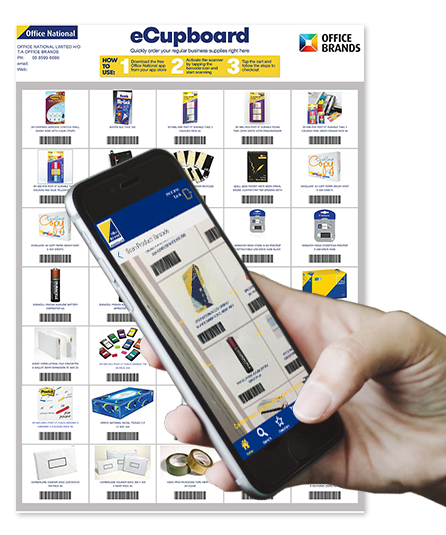 Ordering your business supplies just got easier! Manage your account from your smartphone, just like you do on the website. Order anywhere, anytime, with live, real time access to your Favourites List and account details. Product browse and search, plus innovative special features you can only access through the app. The Office National App lets you scan thousands of products to add to your order. Simply tap the barcode icon on the top right to activate, then point and scan the barcode on the product. Select your quantity and it's in your shopping cart! Virtual Preview is Office National's augmented reality function. See how furniture will look in your workspace before you buy it. Take photos to show your colleagues or manager.